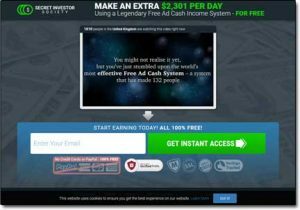 The Secret Investor Society claims to provide you with access to what they call the “world’s most effective Free Ad Cash System” & you’re led to believe that very system has made 132 people filthy rich… And that it can now do the same for you. What Exactly Is The Secret Investor Society? At a glance the Secret Investor Society seems like a great opportunity – after all who wouldn’t want to generate as much as $2,301 per day with little to no work or investment being required to do so? Sadly though I can tell you right from the off that ain’t gonna happen – at least not through this particular system anyway. The reason I know that is because it’s literally just a re-hashed version of the Free Ad Cash System, a scam I’ve previously exposed before. And that’s why you see the words “Free Ad Cash System” appear several times through the Secret Investor Society video, because despite changing the website’s name & design they’ve still used the same video that they used on the former scam site. The reason they’ve changed the name is just to try to escape the negative reviews that surfaced from all the people that got conned so that they can continue tricking people & parting them with their hard earned cash. How Does The Secret Investor Society Work? 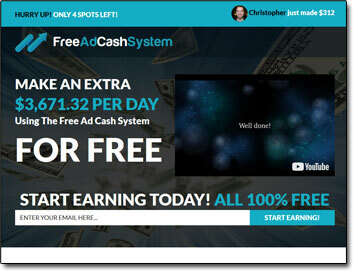 So as I touched on above the idea is that the whole thing is built around some sort of “Free Ad Cash System”, but firstly I can tell you that it’s not free – and that a minimum investment of $250 is required, and secondly I can tell you that the whole Ad Cash System is total BS too. In fact the whole Secret Investor Society website is just a doorway that funnels you through into something called Banner Bit, and this is exactly what the Free Ad Cash System (it’s predecessor did too). When you arrive at the BannerBit website after signing up via the Secret Investor Society (which I don’t recommend doing) you’ll be shown a short video presented by a woman who tells you once again about what a great opportunity you’ve found yourself involved with. She then goes on to state that all you need to do is deposit some money & pick some advertising to invest in. You’re told that you’ll be able to flip the advertising as it increases in value & that you’ll stand to make great profits when you do. The whole method they teach you is referred to as Ad Flipping, but it’s just a name they’ve made up. “Ad Flipping” doesn’t really exist – and the concept they run over with you is total nonsense. If you were experienced in marketing you would likely see straight through their ploy, but they’re not interested in people with marketing experience… They’re just looking to take advantage of newcomers who are trying to make money online. The whole “ad flipping” story is just gobbledegook & they’re just trying to make it seem legit to convince you to invest. Sadly if you do invest you’ll just be left to find out the hard way that it doesn’t really work as promised. However the people behind the Secret Investor Society & Banner Bit are much cleverer than that. But it’s only after all of this that you’ll then be left to find out that it doesn’t really work. 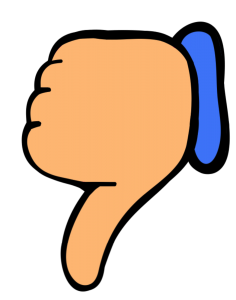 Once you finally hit the required number of flips to withdraw (after making multiple large investments) you’ll find out the hard way that it’s been a scam when the team behind it all either ignore your withdrawal request or point blank refuse it. If you continue to try & chase it up they’ll just lock you out of your account & claim a “technical error”… Then, shortly after – maybe a month or two they’ll just change their name once again & entirely disappear. That’s why the Free Ad Cash System became the Secret Investor Society and soon enough the Secret Investor Society will close & change to something else too… Meanwhile Banner Bit will remain at the heart of the scam (but hidden away behind these doorway sites). I’ve heard reports of people losing literally 10’s of thousands through these ad flipping scams and so it’s safe to say they are VERY bad news. My Verdict – Is The Secret Investor Society a Scam? I can say with absolutely certainty that yes, in my opinion the Secret Investor Society is indeed a scam. It’s clear to me that it’s been solely designed with the intention of parting you with your cash to make its creator(s) wealthy at your expense… It has NOT been designed to help you make money like it claims. So for that reason it’s safe to say that I won’t be recommending the Secret Investor Society system to you because ad flipping is a total scam. The good news though is that if you are still wanting to make money online there are indeed legitimate ways to do so. One of the best ways I’ve come across is something called affiliate marketing, and that’s actually the exact same way I personally make most of my own income online (and it’s easy for anybody to get started with). If you’re interested you can learn more about it over at Wealthy Affiliate which I’d highly recommend. But obviously it’s totally up to you what you decide to do, I just thought I’d let you know about it because it’s a method that’s truly changed my life. One thing I do hope though is that my review here helped you out & hopefully it helped you save your cash. Profit Builder 2.0 Review – Is It Really The Best Landing Page Creator For WordPress? Coin Code Club – Scam or Legit? My Honest Review Uncovers The Real Truth! Lazy Wealth System Review – Latest Work From Home Scam? Sure Looks Like It!